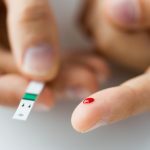 Diabetes is a metabolic condition that interferes with the body’s ability to produce insulin, in turn preventing sugars from being absorbed into the cells and therefore creating dangerous blood-glucose levels. Diabetes (Type 1 and Type 2) is a growing epidemic, affecting more than 30 million Americans according to the American Diabetes Association. Due to the direct effect diabetes has on blood vessels, it increases the risk of disease and damage to organs that have a lot of blood vessels, such as the heart, kidney and brain. 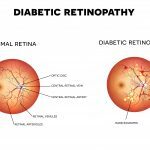 The eyes, too, have an intricate network of blood vessels, and as a result, diabetes can also lead to the development of a serious eye problem called diabetic retinopathy. Left unchecked, this disease eventually can lead to blindness. In fact, according to the National Eye Institute (NEI), it is the leading cause of blindness in people with diabetes. The eye is home to the body’s most intricate network of blood vessels. These vessels must constantly nourish the millions of receptor cells in the retina, a portion of the eye that plays an essential role in vision, transferring light rays that enter the eye to the brain via the optic nerve. The excessive glucose blood levels caused by diabetes lead to an accumulation of fluid, which in turn leads to leakages that cause retinal swelling and, ultimately, clouded or blurred vision. Over time, this clouding or blurring can transition to complete blindness. It can also lead to retinal detachment which also can cause blindness if not treated immediately. Fortunately, the effects of diabetic retinopathy can be reversed if caught in time. Race can also increase your risk of developing diabetic retinopathy. The condition is more prevalent among black, Hispanic and Native American diabetic communities. If you are at an increased risk of developing diabetic retinopathy, speak with your eye doctor or diabetes doctor to develop a management plan that can best protect you. Anyone suffering with diabetes should schedule regular eye checkups — at least once a year— to check for signs of diabetic retinopathy. This is particularly important because the early onset of the eye disease can be asymptomatic. 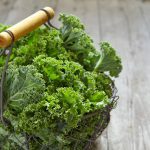 By the time symptoms do appear, the condition is likely worsened significantly. If you have diabetes and are experiencing any of these symptoms, schedule a comprehensive eye examination as soon as possible. People with diabetes must properly manage their blood-glucose levels on a day-to-day basis to prevent serious health issues. You can work with your doctor to develop dietary and lifestyle plans that cater to your needs. Your doctor may prescribe glucose-lowering medications, and additional medications may be suggested to help control high blood pressure or lipid levels. There are a variety of blood-glucose measuring devices that you can use to keep your levels in check. It’s important to maintain healthy habits and a strict monitoring routine in order to discover any potential issues as early as possible. Once the blood vessels have been damaged by diabetes, there are a number of different treatments available to treat the diabetic retinopathy. Ideally, diabetic retinopathy will be diagnosed early, giving your doctor the most options with regard to treatment. In fact, if caught early enough, your doctor may not suggest any immediate treatment. Rather, continued management of your underlying diabetic condition and retinal health monitoring may suffice. Focal laser treatment targets affected blood vessels in the eye to stem the leaks. Targeted laser energy can then be used to seal the leaks and correct the issue. This process is also referred to as photocoagulation. Scatter laser treatment differs in that it does not target fluid leaks from the blood vessels. Instead it targets the blood vessels themselves in an effort to shrink them and prevent eventual leaks. This process is also referred to as panretinal photocoagulation. Unlike the aforementioned laser treatments, vitrectomy is a more traditional approach to treating diabetic retinopathy. An incision is made in the eye through which blood and scar tissue can be removed from the vitreous (center of the eye). This helps to relieve stress on the retina. After treatment, it is possible to have recurring instances of diabetic retinopathy. Diabetes is a lifelong disease meaning that it can never be cured; only managed. It is imperative that you speak with your eye doctor or diabetes specialist about how to best manage your condition and limit risk for potential recurrence. If you have diabetes and/or face an increased risk of diabetic retinopathy, you should speak with your eye doctor or diabetic specialist as soon as possible to discuss ways to protect yourself. You can develop a custom plan to help safeguard you and schedule routine checkups. If you are showing symptoms of diabetic retinopathy or have not been tested, set up a consultation immediately. Your doctor can determine whether or not you suffer from the condition, discuss treatment options and estimate costs with you.